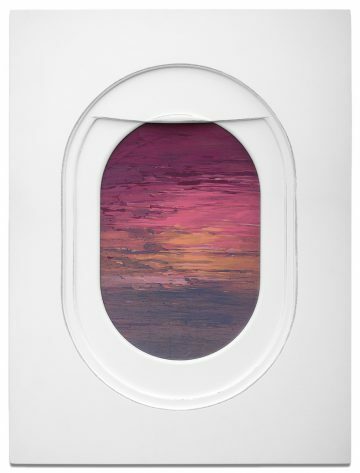 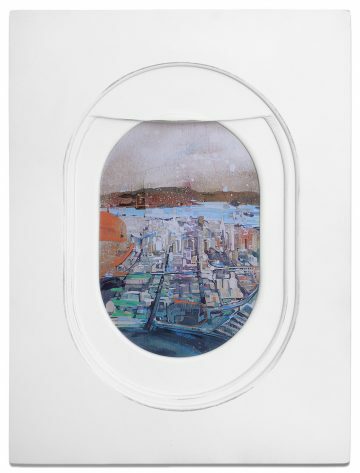 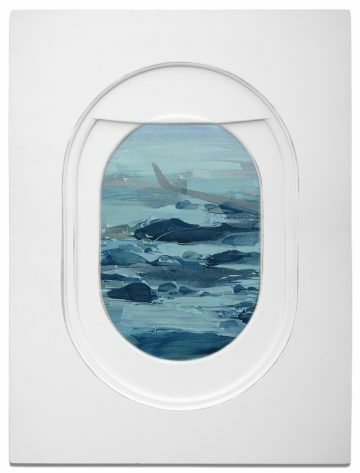 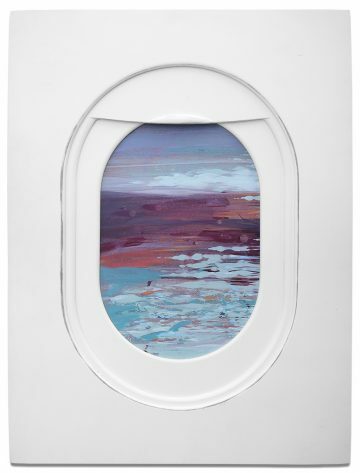 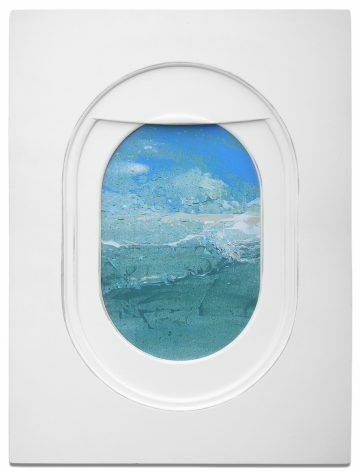 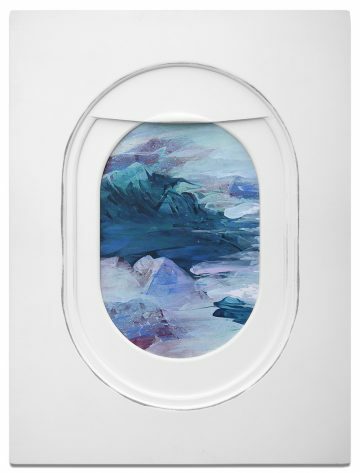 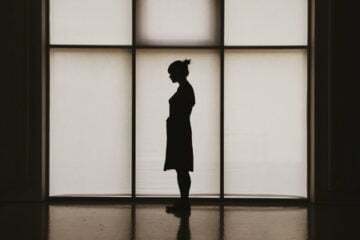 Artist Jim Darling has taken the idea of an airplane window as frame, creating paintings that place the audience as passenger, showcasing vague yet nostalgic landscapes within his constructed airplane windows. 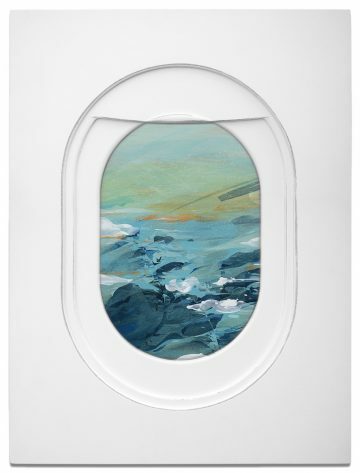 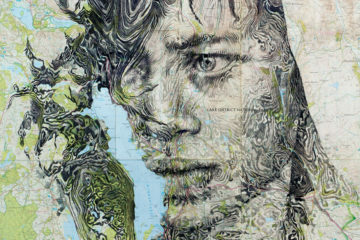 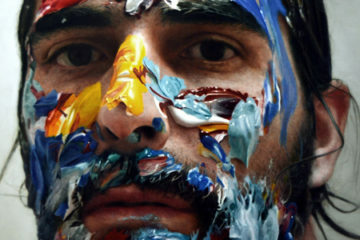 He chose an aerial perspective to show cities, clouds and oceans seemingly drifting by the passenger’s seat while the occasional wing is appearing in the far edges of the painting. 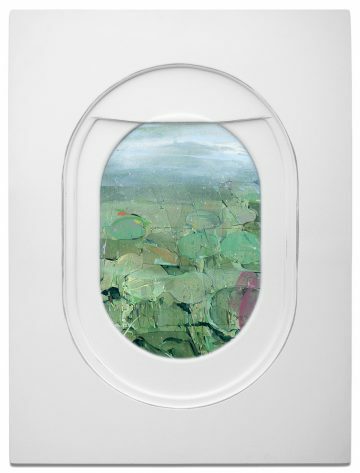 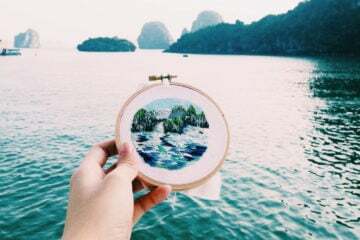 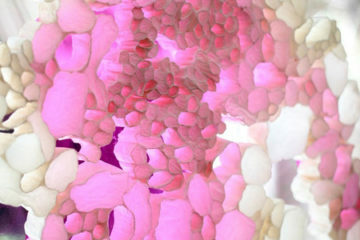 The images give us that unique feeling that one encounters when sitting in a plane, damned to sit still, wait patently for the arrival and just enjoy the view and the world passing by out of this tiny little frame in a mix of serenity and excitement.